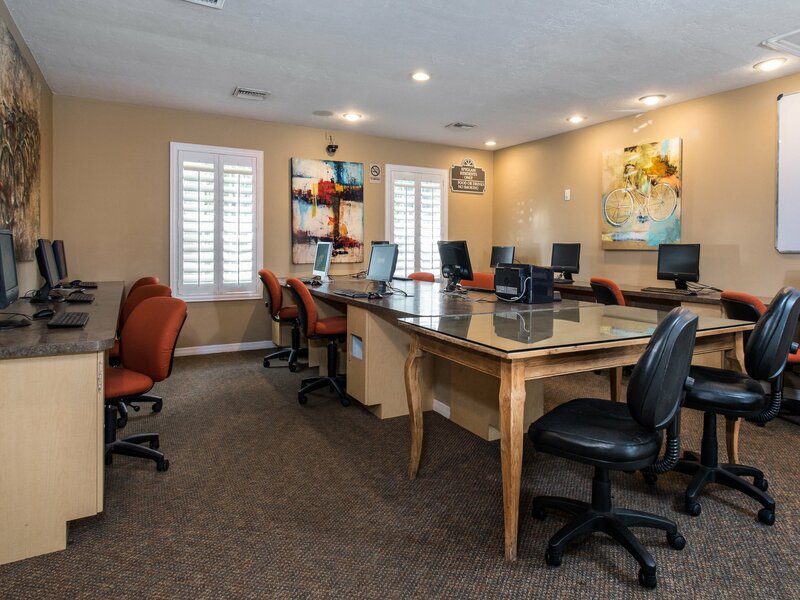 We hope that after visiting our furnished student apartments for yourself, you’ll want to call Spyglass home. Whether you wish to spend time in your quality designed, spacious apartment or you want to spend time with other residents, our property is ideal. 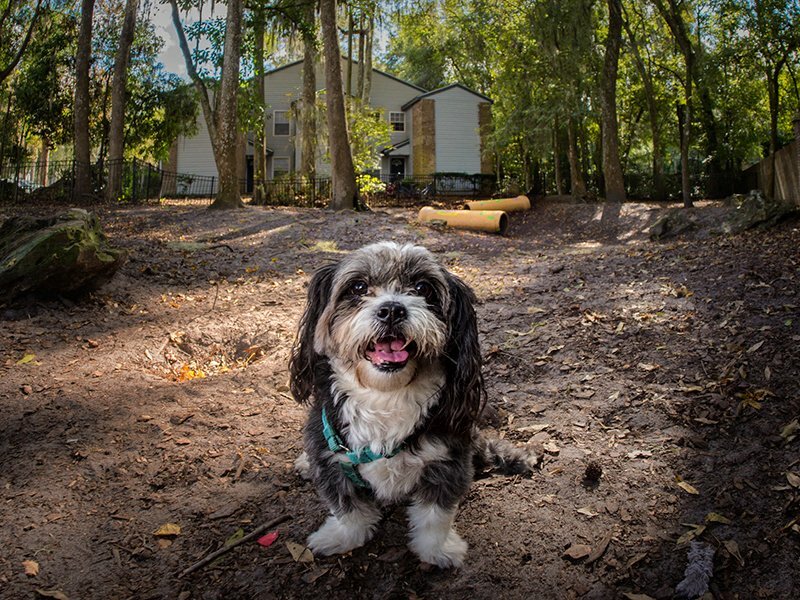 Impress your friends with your volleyball skills on our volleyball court, take your furry best friend for a walk in the dog park and rest easy knowing each of our Gainesville apartments near UF comes with a monitored security alarm. Internet and Cable Packages - Included in your rent - ask us more! No breed or weight restrictions. Management reserves the right to change this at any time. 40lb weight limit for INDIVIDUAL LEASES ONLY. Located between Santa Fe College, University of Florida, and The Oaks Mall. Romp and play with your furry friend in the on-site dog park. Take advantage of our computer lab and packages for Internet and cable. 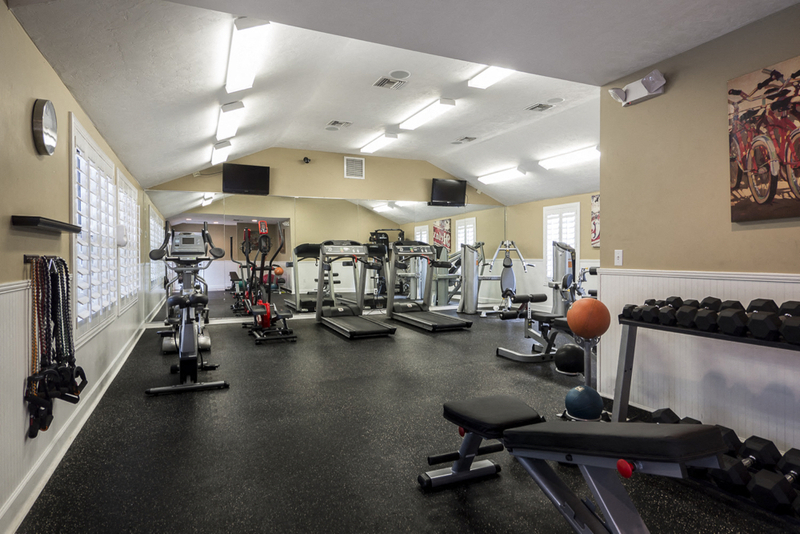 The free weight and cardio center helps you stay at your best. Go for a swim or soak in the hot tub, and don't forget to bring snacks for the BBQ / Picnic area. 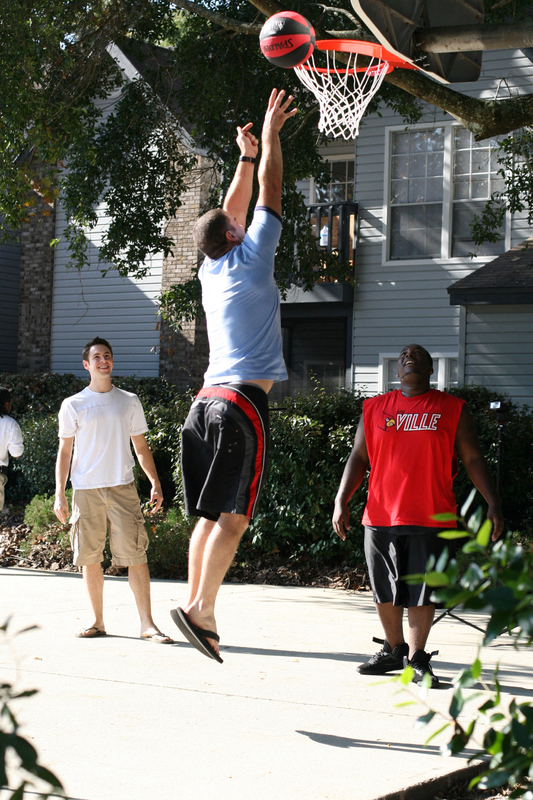 Challenge a friend or roommate to a game on the basketball or tennis courts, or play sand volleyball. 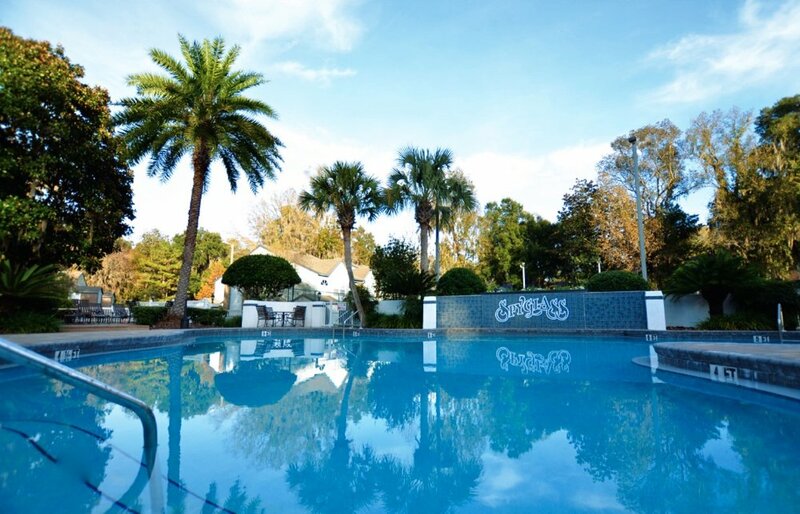 Spyglass provides the best in apartments for rent for UF and Santa Fe students. With a great location and luxury amenities, it&apos;s easy to call Spyglass home. Please call or text for availability prior to completing your application online.